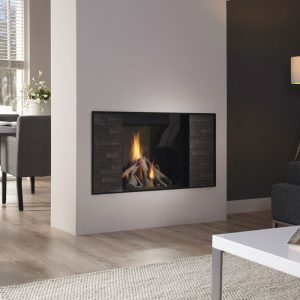 The Dru Metro 130XT/3 is a sizable 3-sided model that can be enjoyed from all sides of the room. 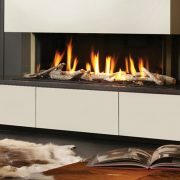 It is available with natural logs or Carrara stone fire beds and in either natural gas or LPG versions. 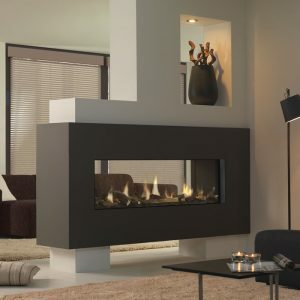 It can be installed in homes with or without a chimney and provides warmth, cosiness. 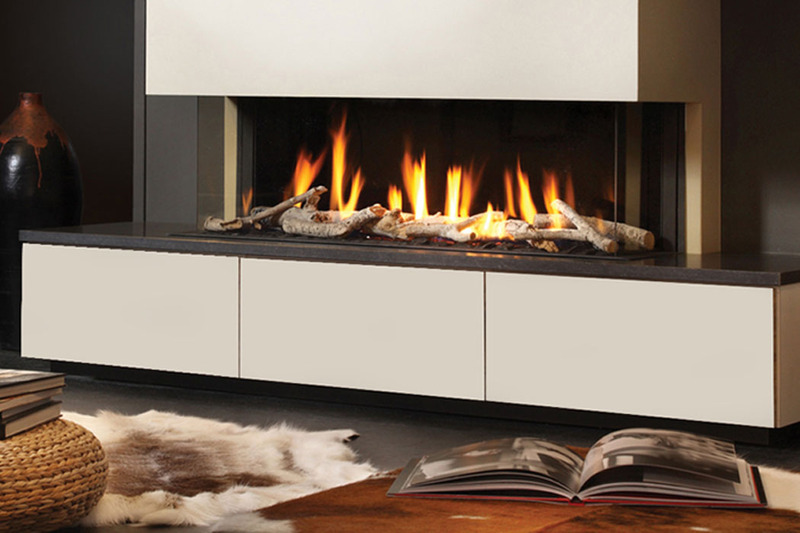 It’s 86% efficiency and heat output of 10.7kW makes this fire a great investment for your home. 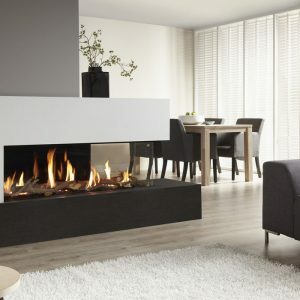 The Dru Metro 130XT/3 is easy to operate and simple to clean and maintain. 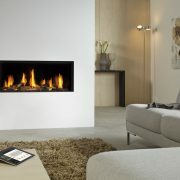 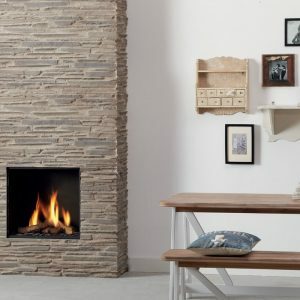 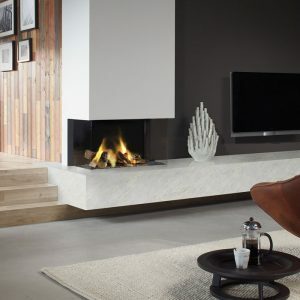 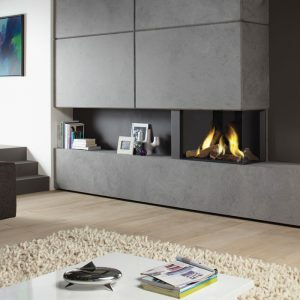 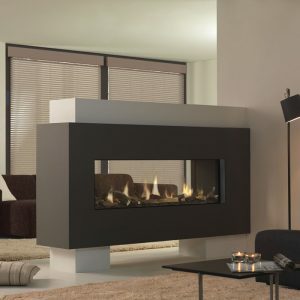 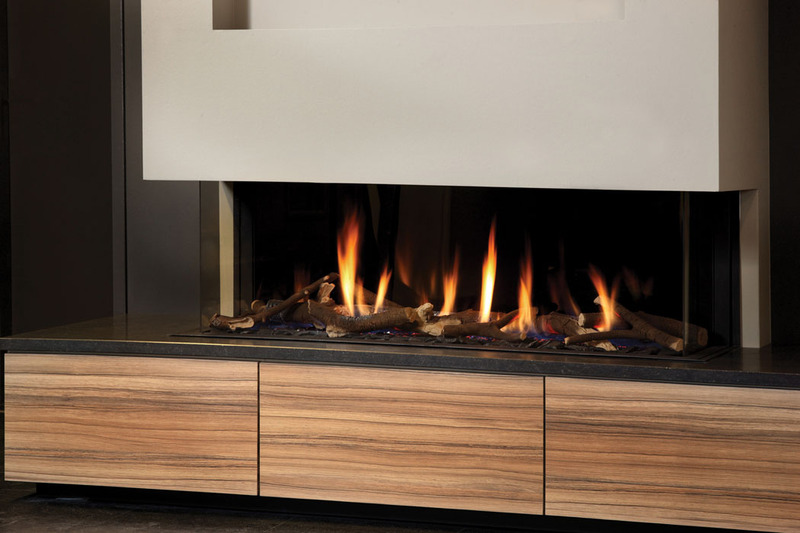 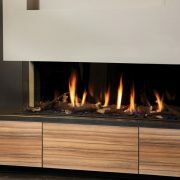 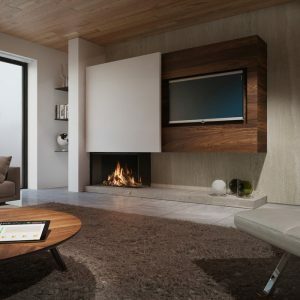 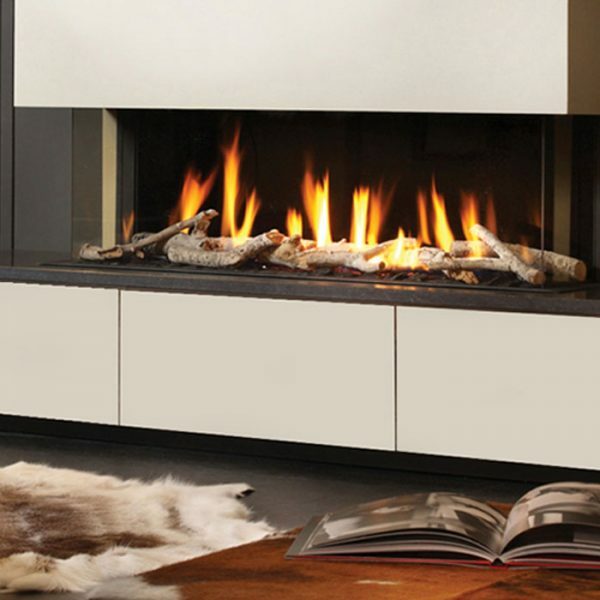 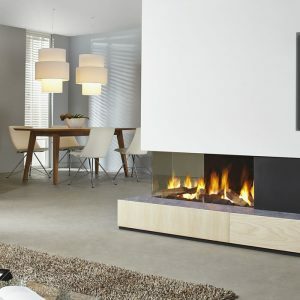 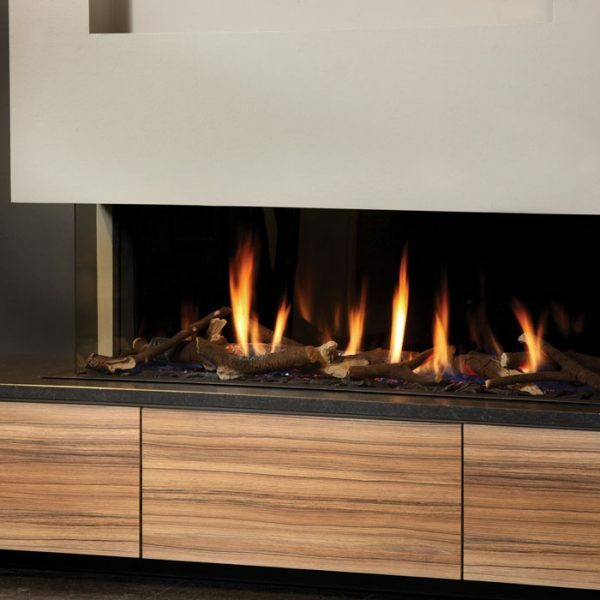 This impressive panoramic gas fire includes a remote control with a room temperature display for maximum convenience.